Total hip replacement (THR) has been offered at Port City Veterinary Referral Hospital for almost two years. A retrospective look at our experience over this time shows that approximately 25% of dogs referred to us for hip replacement evaluation have gone on to receive a prosthetic hip. This is a very positive statistic that aligns well with the experience of many other surgical practices that offer the procedure, and one that reﬂects a healthy balance between targeted case referral and careful presurgical screening. Here we offer a review of indications for hip replacement in the dog, along with an overview of our approach to the procedure, with emphasis on presurgical evaluation and candidate screening. Fig. 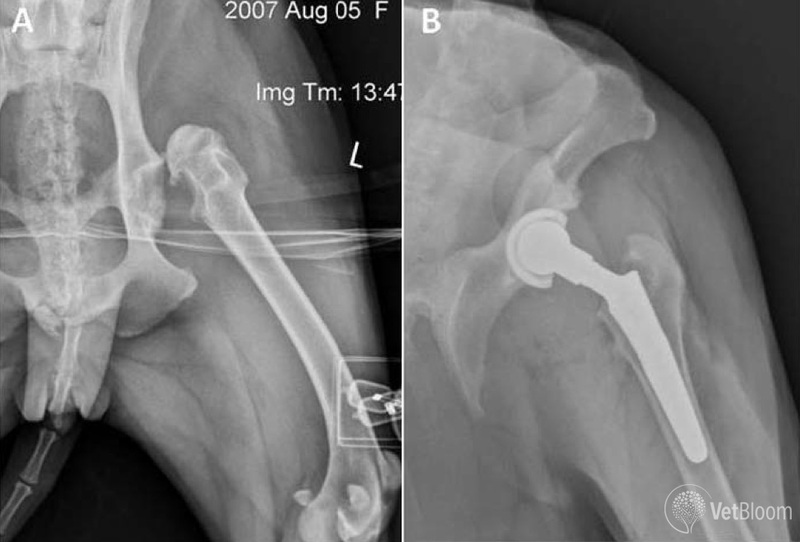 1: Schematic (left), and photo (right) of the prosthetic components used in canine total Total Hip Replacement (THR). THR is the surgical substitution of a dysfunctional coxofemoral joint with a ball and socket prosthesis designed to mimic the mechanical function of a normal hip. 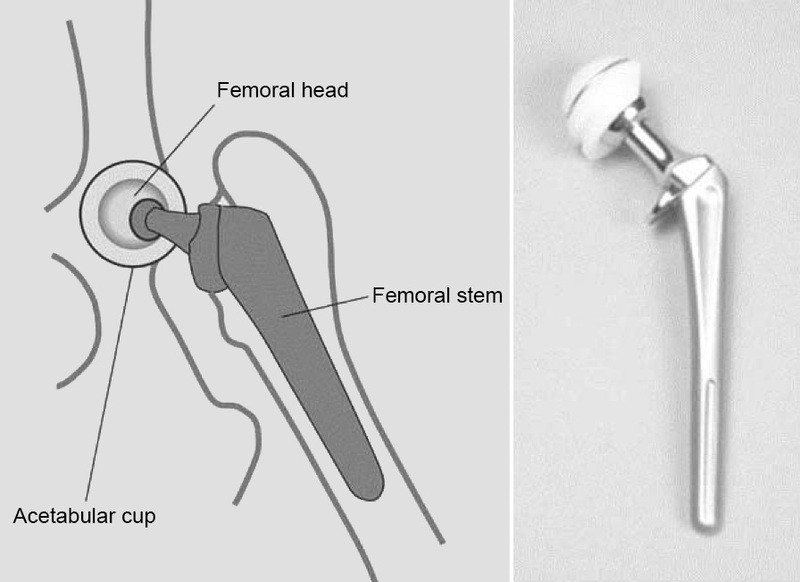 The acetabulum is replaced with an ultra-high density polyethylene plastic cup, while the femoral head is excised and replaced with a cobalt-chrome ball, mounted on a stem that is implanted into medullary canal of the proximal femur (Fig. 1). There are two basic methods of implantation of THR components. In cemented THR, both acetabular and femoral components are anchored into place with specially formulated polymethylmethacrylate acrylic cement. In non-cemented THR, the components are manufactured with a porous titanium surface. 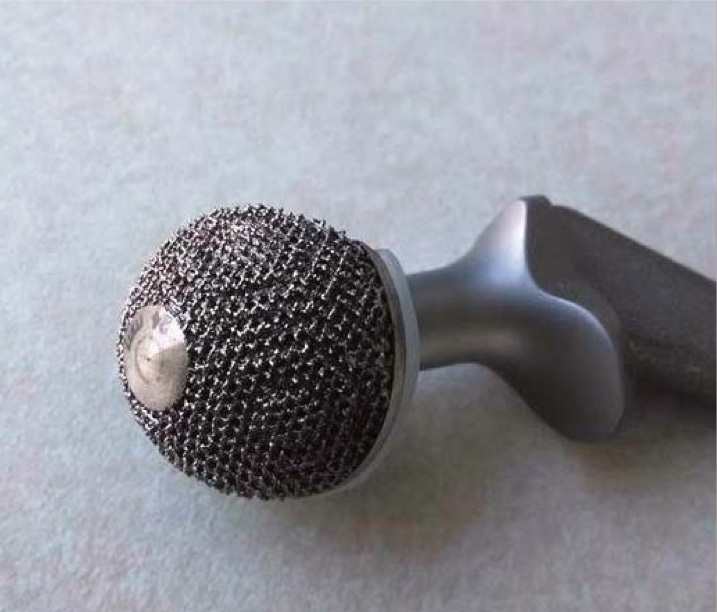 Non-cemented components are tightly press ﬁt into carefully prepared beds of acetabular or femoral trabecular bone, and are ultimately stabilized by bone in-growth into their porous surfaces (Fig. 2). Several commercial systems are available for THR in dogs. At Port City we use the Biomedtrix system exclusively.1 This system allows implantation of cemented or non-cemented components, as individual circumstances indicate. We perform non-cemented THR most commonly, although hybrid implantations, involving a non-cemented cup with a cemented femoral stem are often necessary (Fig. 3). 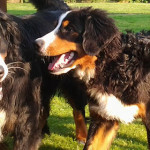 Our instrumentation allows THR to be performed in medium to large dogs weighing from 15 to 70 kg. THR is often referred to as a salvage procedure; however, I prefer to think of THR as a restorative procedure, the goal of which is to return full and pain-free function to a limb that has otherwise been compromised by coxofemoral injury or disease. This basic goal – normalization of limb function – is unique to THR, and stands in contrast to other procedures designed to alleviate hip pain, such as femoral head and neck ostectomy (FHO). FHO can be effective for treatment of many causes of intractable hip pain. Indeed, a number studies indicate high owner satisfaction following FHO; however, FHO causes permanent deficits in limb strength, range of motion, and functional capacity, and precludes return to higher levels of activity.2-5 Thus, we prefer THR over FHO for dogs involved in athletic activities such as agility, flyball, or herding; working or service dogs; or where an owner desires that their dog be able to undertake higher level activities such as distance running or hiking. Fig. 2: The porous backing of non-cemented components allows stabilization by bone ingrowth. Fig. 3: (A) Severe left hip subluxation in an 11 month-old Newfoundland. (B) Hybrid THR (non-cemented acetabular cup with cemented femoral stem) was performed. Despite the young age of the dog, the cylindrical femoral shape and thin cortices frequently seen in this breed necessitates the use of cement for stabilization of the femoral component. The primary indication for THR in the dog is for treatment of painful hip osteoarthritis (OA) that is not adequately controlled with appropriate multimodal therapy. THR may also be a reasonable and cost-effective alternative for dogs in which satisfactory pain control requires intensive daily medical management. It is also an appropriate option for NSAID-intolerant dogs with mild to moderate hip pain. Fig. 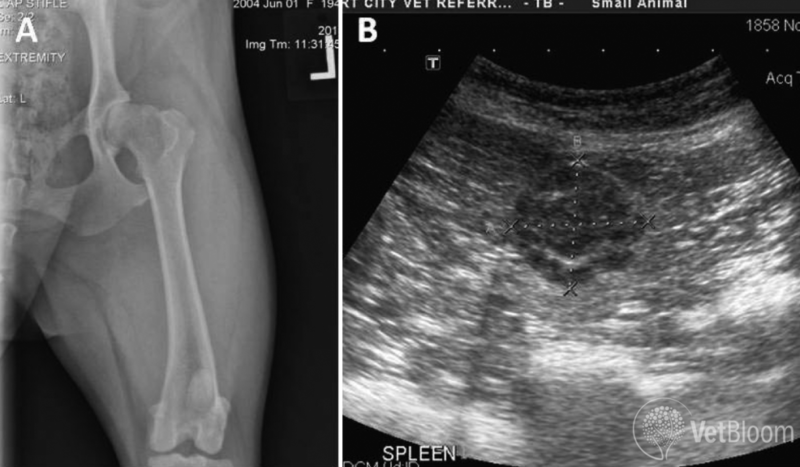 4: (A) A 5-year old Portuguese Water Dog presented for evaluation of an acute traumatic luxation of a dysplastic left hip. (B) Excellent functional outcome was achieved in this dog with a non-cemented THR. In dogs, hip OA usually manifests during adulthood and is typically secondary to hip dysplasia(HD). However, many dogs with HD demonstrate lameness and pain at a young age, before the development of signiﬁcant OA. Early manifestations of hip pain in a dog with HD are usually attributable to the effects of hip laxity, including capsular stretching, traumatic degeneration of the round ligament, and abnormal loading and microfracture of subchondral bone. 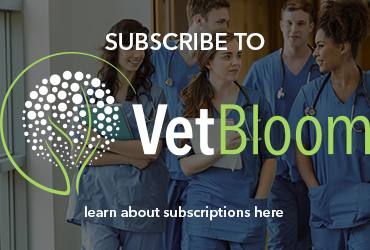 In our experience, many of these dogs will show spontaneous improvement as they mature, and as adaptive changes in articular tissues develop, such as capsular ﬁbrosis and sclerosis of subchondral bone. Therefore, in young dogs with mild to moderate pain due to joint incongruity, we prefer to postpone THR until 18 months of age or older. In young dogs with more severe subluxation, intractable pain, or overt joint luxation, THR can be performed as early as 9 months of age.6 The youngest dog on which we have performed THR is 11 months (Fig. 3). Fig. 5. 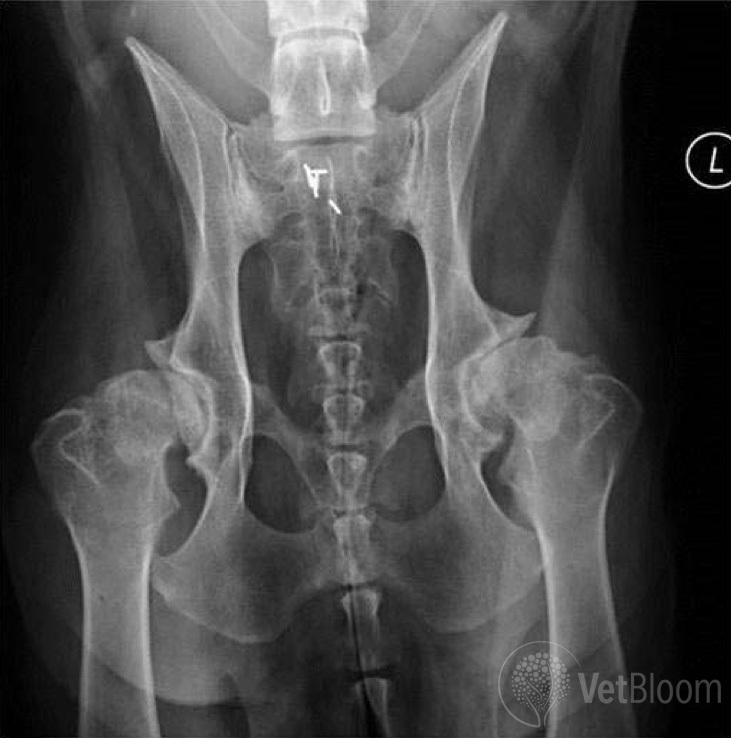 This 9-year old German Shepherd with chronic severe bilateral hip arthrosis presented with a 4-6 week history of rapidly worsening right hindlimb lameness. Range of motion was decreased in both hips, and marked pain response was elicited on hip extension on the right. Iliopsoas strain was diagnosed and significant improvement was seen after one month of exercise moderation, muscle relaxants and manual therapy. Hip OA is largely a radiographic diagnosis. In virtually all dogs referred for hip evaluation, the diagnosis has already been accurately established from standard ventrodorsal hip-extended radiographs of the pelvis. Nevertheless, it is important to recall that radiographic abnormalities of the hips do not correlate perfectly with clinical deﬁcits. Some dogs will have spectacular radiographic abnormalities but relatively mild lameness. Others will have more subtle radiographic lesions, but will show profound lameness and pain. Thus it has been said: Don’t ever show the dog its own radiographs… Radiographic ﬁndings must be interpreted in light of careful physical assessment. As an additional cautionary note: acute or subacute exacerbation of lameness in a dog with longstanding OA is often caused by muscle strain or other myofascial injury. In particular, iliopsosas strain is a common but often occult cause of hindlimb lameness, and dogs with iliopsoas strain consistently show pain on hip extension, as do most dogs with hip OA (Fig. 5). Evaluation of a dog for THR begins with a standard historical body systems assessment and review of past medical history. Particular attention is paid to an owners’ assessment of their dog’s mobility, level of pain and overall quality of life. Any past medical management strategies are evaluated. A candid discussion is then had regarding speciﬁc goals for the patient with respect to exercise or athletic activity (Fig. 6). Fig. 6: (A) A 7-year old Labrador Retriever presented with chronic severe bilateral hip arthrosis and right sided lameness. For years the dog had enjoyed long (3-5 mile) walks with the owner; however, over the past 6 months, the dog’s mobility had declined to the point where it was unable to complete 2 mile walks comfortably. The owner’s goal for the dog was to continue the routine of walking. (B) Non-cemented THR was performed on the right. Walk lengths were exceeding 2 miles within 8 weeks of the procedure. A thorough physical examination is performed. Close attention is paid to the oral cavity, ears, and skin; thoracic auscultation and abdominal palpation; and neurologic assessment. A full orthopedic exam includes gait and postural assessment, evaluation of the lumbar spine, and full hip exam including measurements of thigh circumference and joint range of motion. Particular attention is also paid to the stiﬂes. In addition to iliopsoas strain, unrecognized cranial cruciate ligament disease is one of the most common conditions encountered that disqualiﬁes a dog as a candidate for THR (Fig. 7). Fig. 7: (A) A 5-year old mixed-breed dog presented for evaluation of left hindlimb lameness. Mild left hip incongruity had been correctly diagnosed. 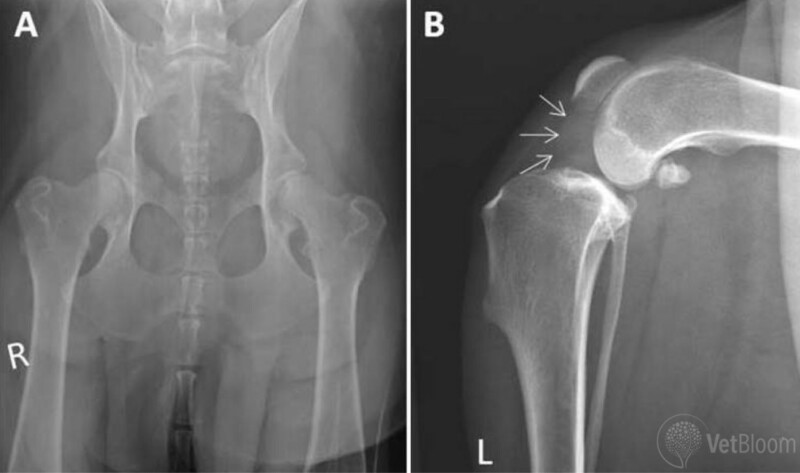 (B) On closer examination, ipsilateral left stiﬂe effusion was detected and radiographs of the stiﬂe showed moderate to severe joint distention (arrows) consistent with cranial cruciate ligament disease. 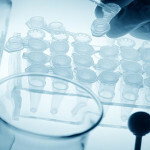 Within the context of evaluation for THR, a complete blood count and serum chemistry panel are performed routinely. A urinalysis is also performed within two weeks of the procedure, and a follow up culture is submitted if there is evidence of urinary inﬂammation or sepsis. A screening abdominal ultrasonographic exam is considered for dogs over 5-6 years of age (Fig. 8). Fig. 8: (A) A 9-year old Chow Chow presented for evaluation of slowly progressive left hindlimb lameness due to chronic hip arthrosis. Physical examination, bloodwork and urinalysis were all unremarkable. (B) Screening ultrasonographic exam of the abdomen revealed a 2 cm diameter splenic mass. THR was postponed, and splenectomy was performed. The diagnosis was early stage splenic hemangiosarcoma. 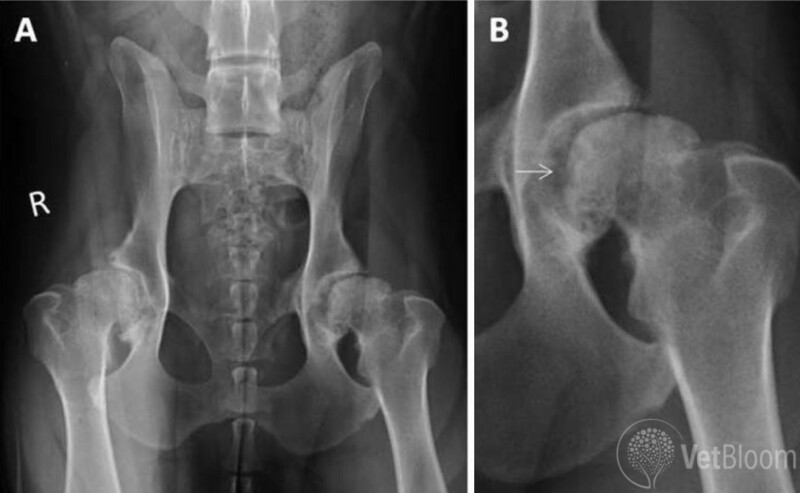 Screening radiographs of the pelvis have typically been obtained prior to referral and are important for establishing the diagnosis of hip OA, grading the radiographic severity of the OA, and ruling out other osseous lesions. Severe OA can occasionally take on a mildly aggressive radiographic appearance, and arthrocentesis is occasionally warranted to rule out suppurative joint inﬂammation or joint sepsis (Fig. 9). An additional 4-view radiographic exam of the affected hip is subsequently obtained prior to the procedure for surgical planning. These planning radiographs must be taken with precise positioning and accurate size calibration. They are used to guide selection of implant sizes for the patient, as well as for determining whether cemented or non-cemented implants will be placed. Fig. 9: (A) An 8-year old Pointer presented for evaluation of progressive left hindlimb lameness associated chronic hip arthrosis. (B) Possible subtle aggressive radiographic changes of the left femoral head were appreciated on close inspection of the radiographs (arrow). Arthrocentesis was performed and revealed low grade septic arthritis. The dog was treated with FHO and aggressive long term antibiotic therapy. Upon completion of the presurgical evaluation, the procedure is scheduled. Some dogs are bathed the day prior to the procedure. General inhalation anesthesia is used together with aggressive preemptive analgesia, including presurgical epidural administration. At Port City, the procedure is performed with a team of four, including one dedicated anesthetist. Utmost attention is paid to aseptic technique. Surgical time is between 90 and 120 minutes. Patients are treated in hospital for two days postoperatively, with analgesics, ﬂuids, antibiotics, incisional icing, and massage and gentle passage range of motion exercises. Postsurgical physical rehabilitation is strongly recommended following THR, in conjunction with an 8-week home program of exercise moderation, controlled leash walking, and sling support. Follow up radiographs of the hip are performed at six weeks, and again at six months after the procedure. Moderate off-leash activity is permitted at eight weeks after the procedure and dogs can return to full activity at three months. Duff R, Campbell JR. Long term results of excision arthroplasty of the canine hip. Vet Rec 1977;101:181-4. Berzon JL, Howard PE, Covell SJ, et al. A retrospective study of the efﬁcacy of femoral head and neck excisions in 94 dogs and cats. Vet Surg 1980;9:88-92. Rawson EA, Aronsohn MG, Burk RL. 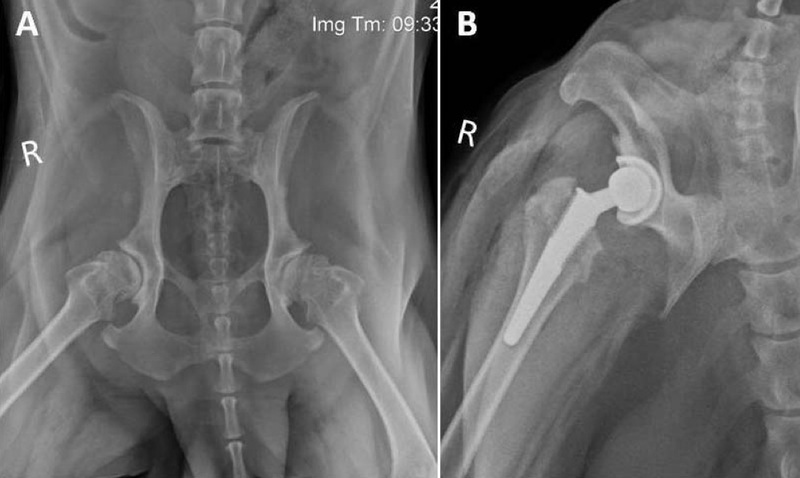 Simultaneous bilateral femoral head and neck ostectomy for the treatment of canine hip dysplasia. J Am Anim Hosp Assoc 2005;41:166-70. Off W, Matis U. Excision arthroplasty of the hip joint in dogs and cats. Vet Comp Orthop Traumatol 2010;23:297-305. Anderson A. treatment of hip dysplasia. J Small Anim Prac 2011;52:182-90. Kalis RH, Liska WD, Janovits DA. 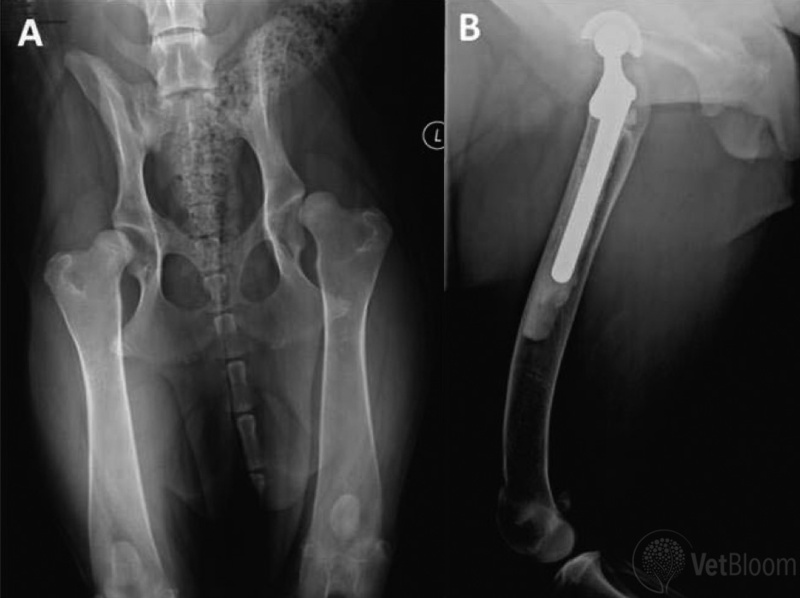 Total hip replacement as a treatment option for capital physeal fractures in dogs and cats. Vet Surg 2011;53:182-9. Gemmill TJ, Pink J, Renwick A, et al. Hybrid cemented/cementless total hip replacement in dogs: Seventy-eight consecutive joint replacements. Vet Surg 2011;40:621-30. Lascelles BD, Friere M, Roe SC, et al. Evaluation of functional outcome after BFX total hip replacement using a pressure sensitive walkway. Vet Surg 2010;39:71-7. Skurla CT, Egger EL, Schwarz PD, et al. Owner assessment of the outcome of total hip arthroplasty in dogs. J Amer Vet Med Assoc 2000;217:1010-2.